For Tantric Buddhism, see Vajrayana. For the practice of Tantra, see Tantra. Tantras ("Looms" or "Weavings") refers to numerous and varied scriptures pertaining to any of several esoteric traditions rooted in Hindu and Buddhist philosophy. The religious culture of the Tantras is essentially Hindu, and Buddhist Tantric material can be shown to have been derived from Hindu sources. And although Hindu and Buddhist Tantra have many similarities from the outside, they do have some clear distinctions. The rest of this article deals with Hindu Tantra. Buddhist Tantra is described in the article on Vajrayana. The word tantra is made up by the joining (sandhi in Sanskrit) of two Sanskrit words: tanoti (expansion) and rayati (liberation). Tantra means liberation of energy and expansion of consciousness from its gross form. It is a method to expand the mind and liberate the dormant potential energy, and its principles form the basis of all yogic practices. Hence, the Hindu Tantra scriptures refer to techniques for achieving a result. 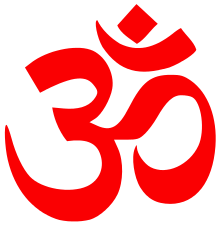 The Hindu Tantras total ninety-two scriptures; of these, sixty-four are purely Abheda (literally "without differentiation", or monistic), known as the Bhairava Tantras or Kashmir Śaivite Tantras, eighteen are Bhedābheda (literally "with differentiation and without differentiation" monistic or dualistic), known as the Rudra Tantras), and ten are completely Bheda (literally "differentiated" or dualistic), known as the Śiva Tantras. The latter two (Rudra Tantras and Śiva Tantras) are used by the Śaiva Siddhāntins, and thus are sometimes referred to as Shaiva Siddhanta Tantras, or Śaiva Siddhānta Āgamas. Hindus consider the tantras not to be a part of the divine scriptures, the Veda and are therefore smrti, imparted by Śiva (Śiva) in the form of Svacchandanath, who created each tantra as a combination of his five universal energies, or shakti: cit śakti (energy of all-consciousness), ānanda śakti (energy of all-bliss), īccha śakti (energy of all-will), jñāna śakti (energy of all-knowledge), kriya śakti (energy of all-action). The Tantrika Parampara, or 'Tantric tradition' may be considered parallel or intertwined with the Vaidika Parampara or 'Vedic tradition'. It is said that Svacchandanath illuminated the universe, beginning the Sat Yuga, or 'golden age', by revealing these tantras. Through the ages, as the mahasiddha or 'great masters' of the tantras hid themselves to escape the touch of the increasingly worldly people, these teachings were lost during the Kali Yuga or 'degenerate age'. As a part of Śiva's grace, Śiva took the form Śrikanthanatha at Mount Kailaṣ and revealed the ninety-two Hindu tantras to Durvasa and then disappeared into the Ākaśa or ether. In the Nāth Tradition, legend ascribes the origin of Tantra to Dattatreya, a semi-mythological yogi and the assumed author of the Jivanmukta Gita ("Song of the liberated soul"). Matsyendranath is credited with authorship of the Kaulajñāna-nirnāya, a voluminous ninth-century tantra dealing with a host of mystical and magical subjects. This work occupies an important position in the Hindu tantric lineage, as well as in Tibetan Vajrayana Buddhism. In contradistinction to the Vaidik ritual, which is traditionally performed out-of-doors without any idols nor emblems, the Tantrik ritual is largely a matter of temples and idols. The Tantras are largely descriptions and specifications for the construction and maintenance of temple-structures together with their enclosed idols and lingas—an example of type of text is the Ajita Māhātantra. Another function was the conservation as state-secrets of texts for use by royalty to maintain their authority through rituals directed to deities controlling the political affairs-of-state—an example of this is the Śārada-tilaka Tantra. ↑ Smith, Travis. Tantra in Brill's Encyclopedia of Hinduism. Brill. pp. 168–181. ISBN 978 90 04 17893 9. Bagchi, P.C. (1986). Kaulajnana-nirnaya of the School of Matsyendranath Varanasi: Prachya Prakashan. Magee, Michael (trans.). Woodroffe, John. Mahanirvana Tantra (Tantra of the Great Liberation). Retrieved 2007-05-17.